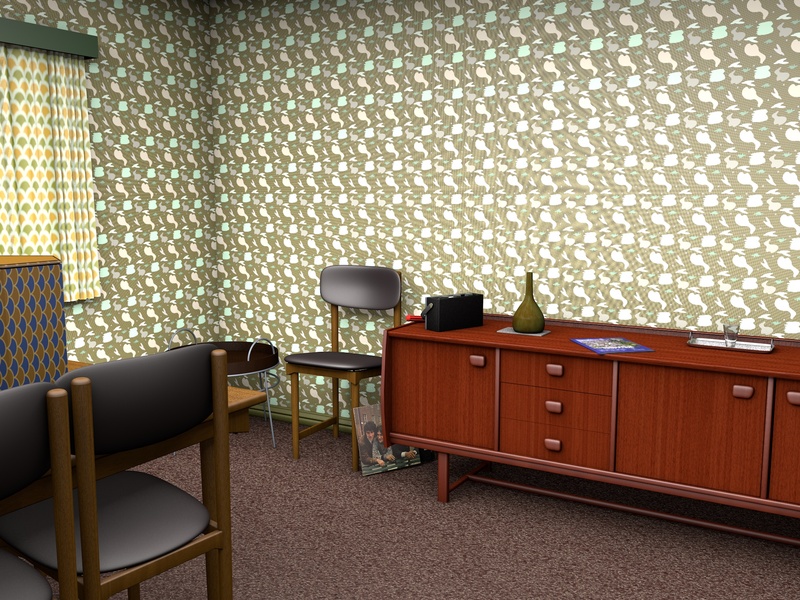 This mid-century inspired wallpaper pattern has an interesting design that is intended to create a big impact on the wall. Shown here on both the side and front walls, it is anything but understated and just what you would have seen in the early 1970s or perhaps the late 1960s. To make the effect less dramatic I have used some conservative but still mid-century type colours instead of the more dramatic ones that would also have been available. 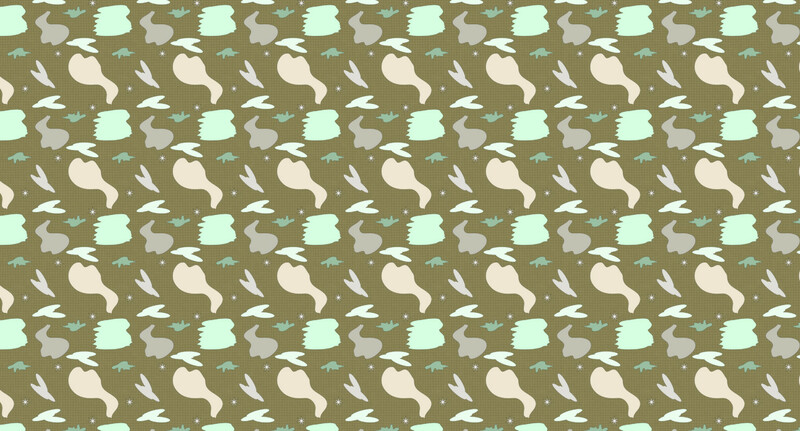 Tomorrow I will post the same pattern with a more adventurous colour scheme. The effect, with the mid-century furnishing, is, I think, a pleasant one that even today would not offend. The design was created in Adobe Illustrator and the image produced with Cinema 4D. 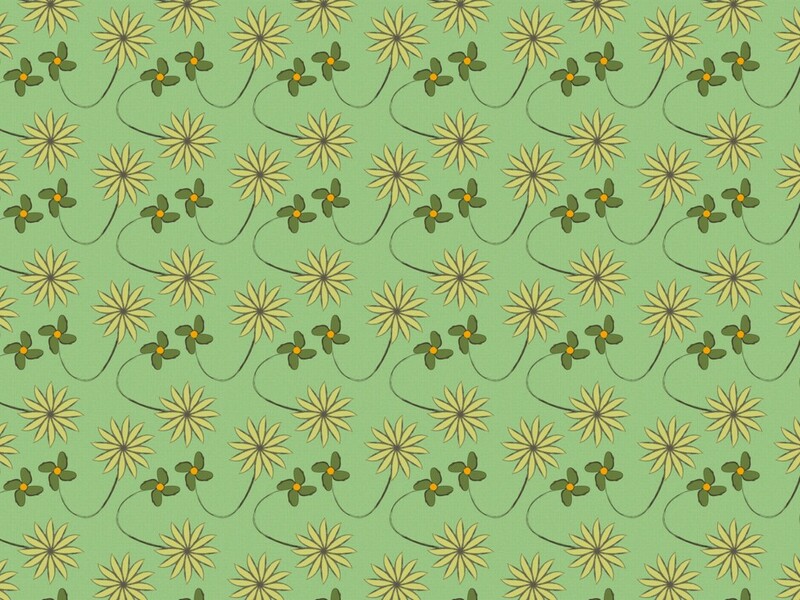 This mid-century inspired surface dress pattern is very much a single colour design and in my opinion all the better for it. I have kept the scale quite large since I feel that this gives the dress more height and size which, for a 60s dress like this, is important. The image was created in Daz 4.7 and uses a Genesis 2 character wearing the Paige dress.